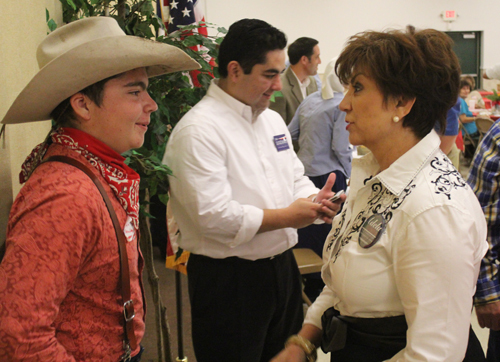 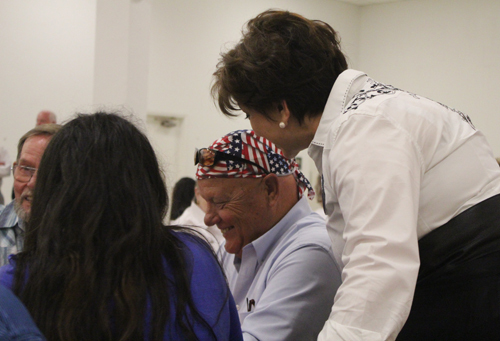 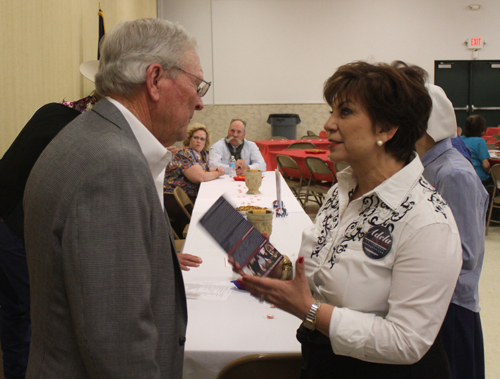 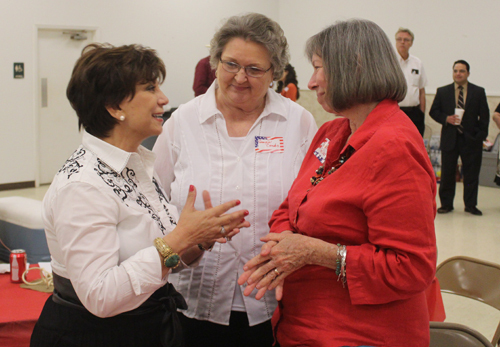 The Republican Club of Bee County (Patty Johnson, President) held its 3rd Annual Republican Roundup in Beeville this past Saturday. 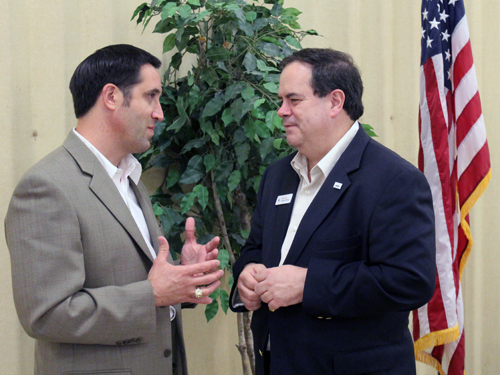 The themes of the evening included getting the government off our backs and encouraging jobs and economic growth. 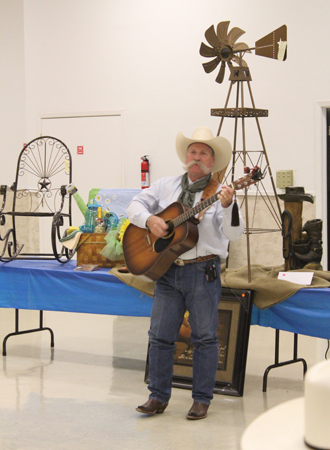 The activities of the evening ranged from live and silent auctions to raise funds to heartfelt cowboy music performed by Jeff Gore. 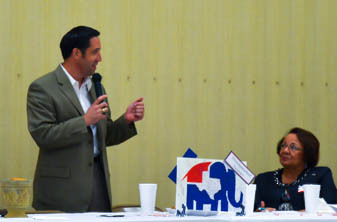 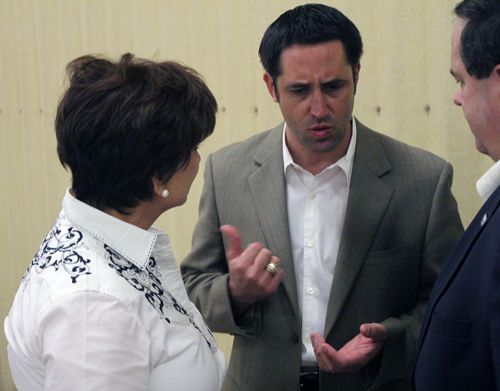 State Senator Glenn Hegar (SD-18) was the featured speaker and recounted his own frustration in the past when he got five different answers from five different bureaucrats to a question he had about filling out a state-required tax form for his business. 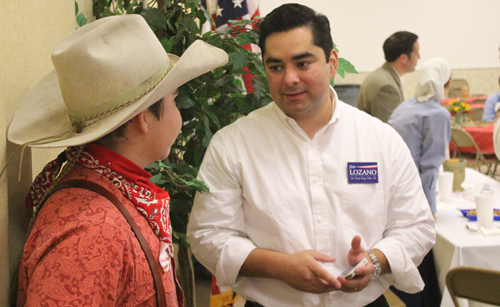 "People should be able to have common sense, stability, and know what they can do to be able to go out and create jobs to provide for their family and provide for other families." 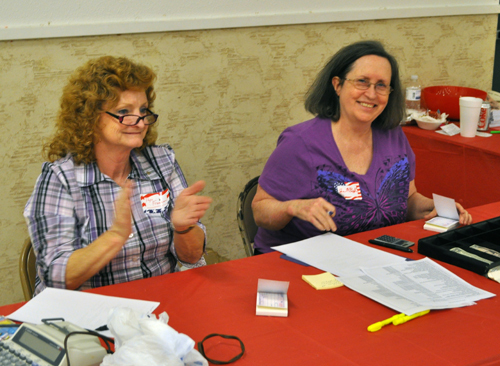 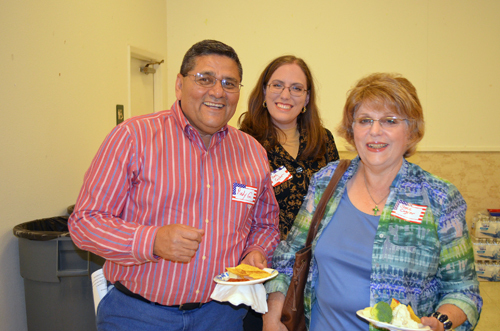 The event was well-organized, the food was delicious, and a good time was had by all. 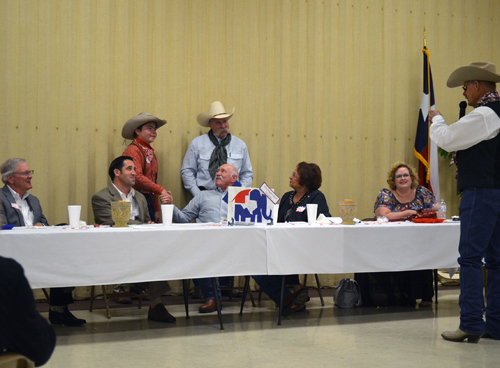 Several elected officials and candidates were in attendance. 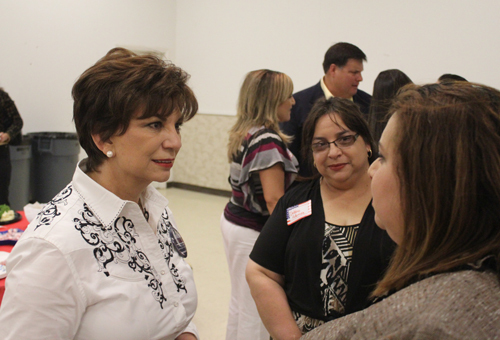 Adela Garza, Congressional candidate for CD-34, picked up on Senator Hegar's theme on jobs and economy stating, "The Beeville economy has benefited from the growth in oil and gas related jobs in the area as have many other cities in the northern part of Congressional District 34. 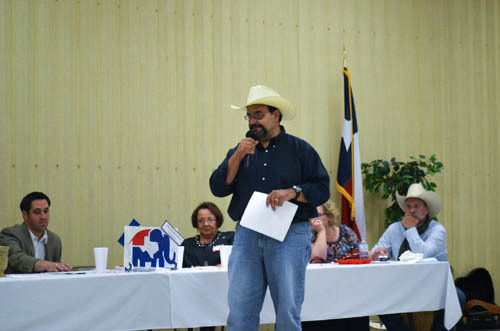 If elected to represent the people of the District, I will work hard to protect oil and gas jobs and minimize unnecessary regulations and interference from the federal government." 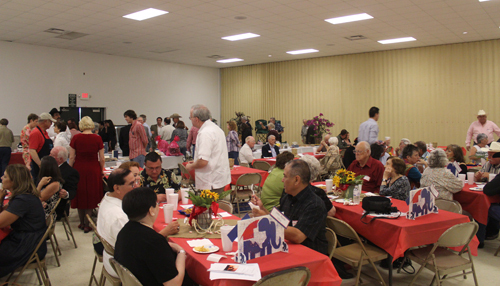 Congressional District 34, which includes Bee County, is one of the four newly-formed districts Texas gained after the 2010 Census. 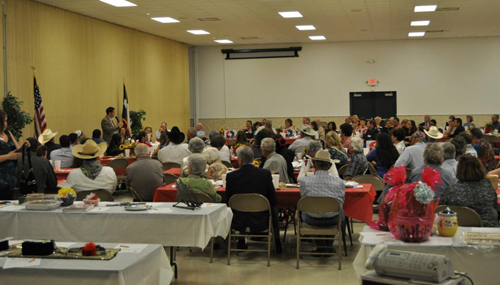 This area has had an increase in jobs related to the exploration and development of oil and gas in the Eagle Ford Shale Formation. 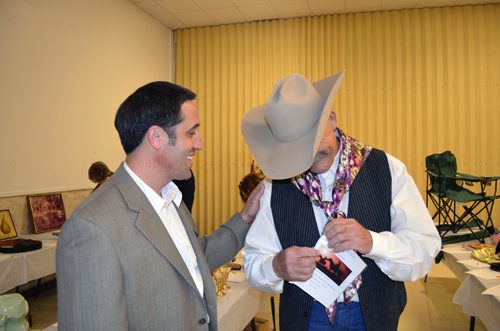 State Representative J.M. 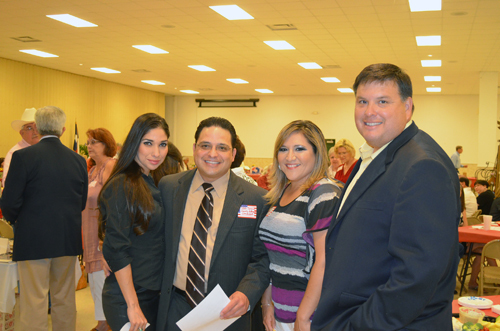 Lozano was one of the attendees who participated in the live auction that evening. 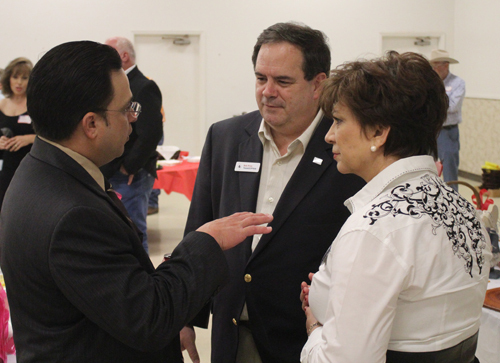 TexasGOPVote blogger Bob Price was on hand to interview Rep. Lozano on the importance of energy development and jobs in Texas, his conservative values, and his recent decision to switch to the Republican Party. 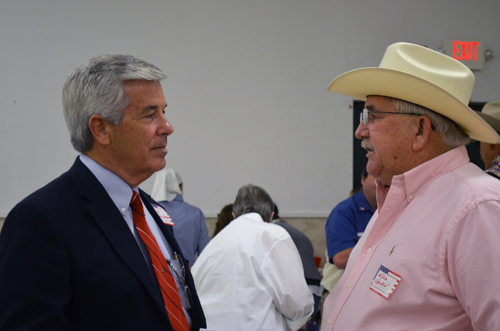 Bob Price's eye-opening interview, which sheds light on South Texas politics, will be appearing soon on TexasGOPVote. 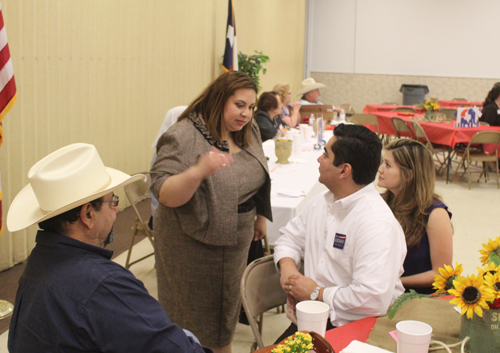 Beeville is served by State Rep. Jose Aliseda. 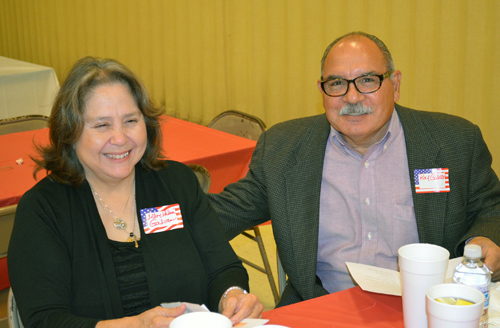 Click to view more photos on Facebook.